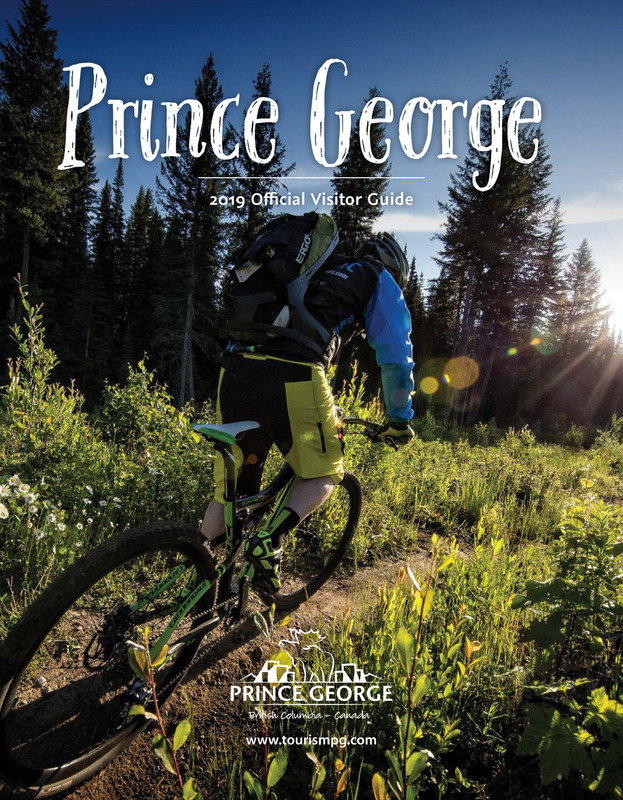 It may not be the first thing that comes to mind about Prince George, but this city has a wide variety of locally owned restaurants. And even more than that: the food they create is amazing. Our restaurants seriously serve some of the best meals I’ve ever had, and there are many stops that visitors to PG must try before leaving. This list can by no means do justice to the many local restaurants that stand out, but these are what I’d consider to be the top five local dishes to indulge your senses in Prince George. Cimo Mediterranean Grill is my favourite restaurant in Prince George, largely due to the fact that they serve the absolute best pasta dish I’ve ever had –the Angel Hair. The dish seems simple, with baby shrimp, Roma tomatoes, garlic, and basil, but served atop pasta that is made fresh in house, and with local focaccia bread and a glass of red wine, it’s a dinner (or lunch) that can’t be beat. The service at Cimo is incredibly friendly and, located along Victoria Street, the summertime patio offers great people watching too in the heart of downtown. One fact that often comes as a pleasant surprise to out-of-towners and newcomers is the abundance of ethnic cuisine that our city boasts. From Indian to Thai and Japanese to Persian, Prince George has whatever your tummy desires. So of course, at least one of my top dishes has to represent this amazing array of cuisines. You can get phenomenal sushi and amazing butter chicken here in Prince George, but my absolute favourite ethnic meal comes from Thanh Vu, a Vietnamese restaurant on Highway 97 South, across the highway from the Treasure Cove Hotel and Casino. The beef noodle soup is a huge bowl of steaming hot delicious broth filled with (wait for it…) noodles and beef (surprise! ); it’s packed with flavour and super satisfying. Don’t forget the hot sauce! I always order my soup with a spring roll or, if I’m there with other hungry folks (which is always), the deluxe appetizers platter, which has a couple spring rolls, salad rolls, Imperial rolls and dragon prawn rolls. You can’t go wrong with any of this –Thanh Vu is a must try! If you’re into hip, trendy joints with friendly staff, live music on the weekends and a huge beer selection, you must visit Nancy O’s. You can read all about what a great place this is on the HelloBC blog, as I’m here now to tell you that if you’re craving a burger, definitely go for the Flaming Nancy Burger. This burger is huge, juicy and messy – everything a good burger should be – and it’s over the top with the heat from jalapeno and poblano peppers, and jalapeno Havarti cheese. Order this with a side poutine and your favourite bottled beer. Trust me. Nancy O’s, located on 3rd Avenue, is the perfect last stop after spending an afternoon perusing some of our great shops downtown –and I say “last” because once you see their beer menu, you won’t want to leave. Who doesn’t love a good fish taco? Fish tacos may be a novelty lately, but hopefully they are a menu item that will stay on at the White Goose Bistro. They certainly know how to do it right. Crispy tortilla, tangy house made pico de gallo and a good sized extra crispy piece of fish –along with their standard two sides of salad and fries- makes for a very satisfying meal. Recognized as an outstanding business by the PG Chamber of Commerce the White Goose, located on the corner of 3rd Avenue and Dominion Street, is a staple of our downtown core. Be sure to stop in for lunch or dinner and try this great meal. While technically not a “dish” per se, the last item on my list has to be included simply because I will go out of my way and drive the 15 minutes up the Hart Highway (Highway 97 North) from downtown just for this one thing: a butter pecan milkshake from the Hart A&A Burger Bar. Whether you’re just pulling into PG or on your way out, the Burger Bar is a must stop and will be a family hit. With over 25 unique flavours to choose from such as English toffee, bubble gum, fruit punch, and the well-known classics, I’m sure you’ll find your favourite (and probably several).